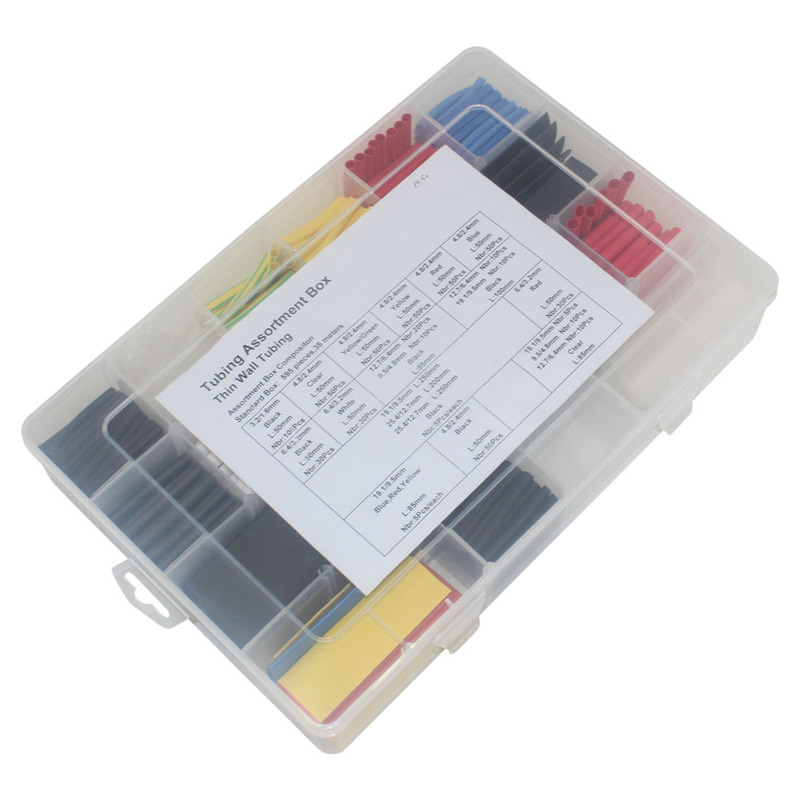 This deluxe heat shrink organizer provides 16 seperate compartments with a variety of pre cut heat shrink that would be ideal for any lab, R & D center, Repair facility or serious electronic hobbyist. 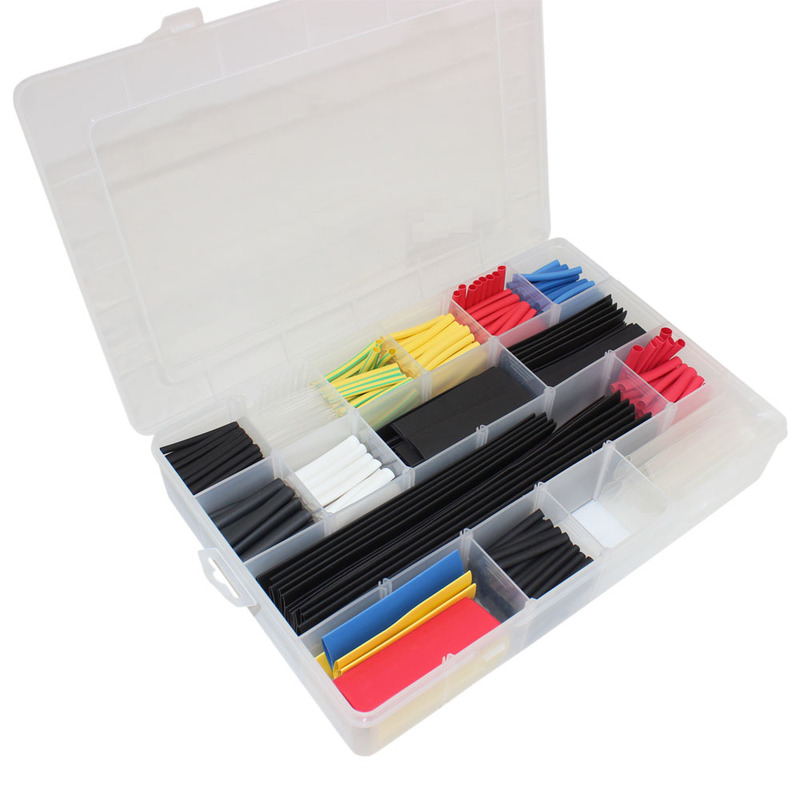 595 total pieces of thin wall polyolefin heat shrink tubing. All pcs. 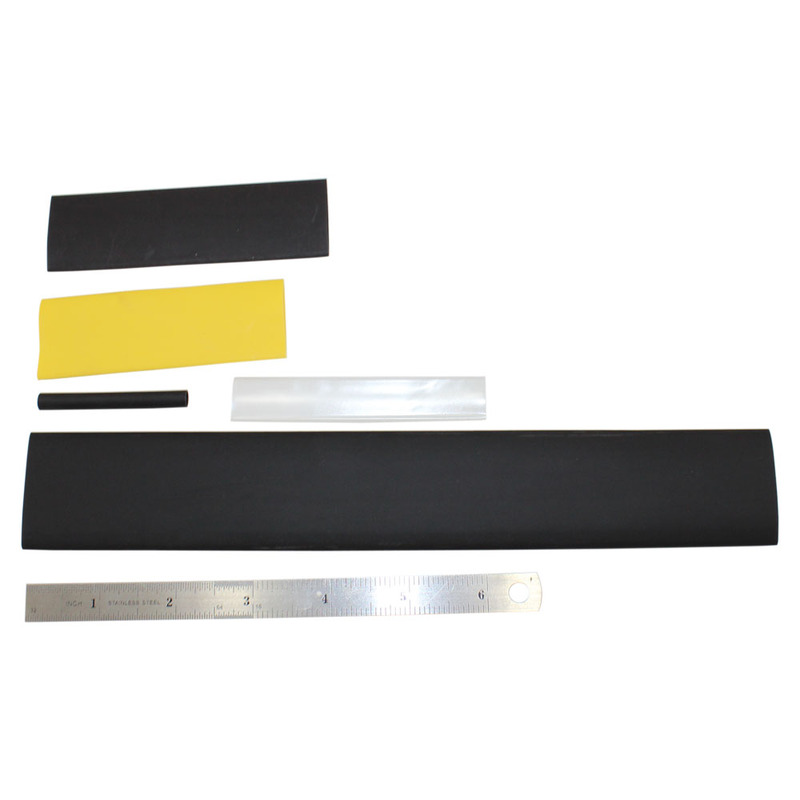 are 2:1 shrink ratio and operate from 55 deg C to 135 deg C and up to 300 deg C for short durations. VW-1 flammability rating. Shrink temperature 90-120 deg C.